The Joomla content management system is one of the most popular platforms on the planet, but it lacks some important features necessary for blogging. In this post, we’ll be learning how to achieve better blog functionality in Joomla with the help of some third party extensions. At first glance, a standard Joomla blog has almost everything you’d expect a blog to have. You can create nested categories, add posts, publish with different authors, and create a blog area in your menu. When you first access your blog from the front end, you’ll notice the articles appear in several columns instead of one, but that’s an easy fix from within the menu item or article options. However, once your blog area is created and you begin checking individual posts, it becomes pretty apparent that some important features are missing. There’s no way for visitors to leave comments, no author information is available, and social sharing buttons are nowhere in sight. And that is where third party extensions come into play. Let’s work on completing our blog. If you compare Joomla to a system like WordPress, which began as a blog platform, you’ll probably notice a number of features that are missing - like tags, for example. However, there are three key features that I consider critical for any blog: comments, author profiles, and social media integration. The latter feature is actually something that WordPress lacks out of the box, as well. CommentsThe lack of comment functionality in Joomla is probably the feature people miss the most when trying to create a blog. Thankfully, there are a number of comment extensions available in the Joomla Extension Directory (JED). Two of the top rated comment extensions are JComments and Komento. 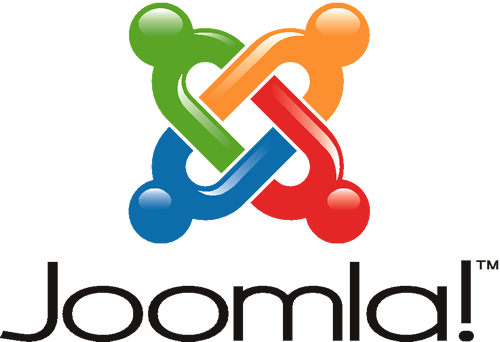 Both of these extensions are free and compatible with Joomla 2.5. Upon installation, you’re able to allow comments in your blog categories and moderate them via the administration area. Author informationA second blog feature that Joomla lacks is the ability to display author details within articles. By default, only the author’s name is visible. To add an author details in Joomla, you’ll want to install the Author Info Box plugin. It’s free and compatible with Joomla 2.5. With this plugin, you can display an email address, image, and description for each author. Social sharingA final feature that’s important for a successful blog is social sharing. At the time of this article, two of the highest rated social sharing extensions in the JED are AddThis for Joomla and Facebook-Twitter-Google+1. Both bring in the ability to share your articles via the most popular social channels. With these extensions installed, your standard Joomla blog is now fully functional and ready for use. Are there any features or extensions that I’m missing? If so, let me know in the comments. Note: If you’re interested in an all-in-one blogging solution for Joomla, there are a few available in the extension directory, but the best are commercial extensions that will cost you some cash. One free Joomla extension that’s great for blogging is K2, which is an extremely powerful content component that goes above and beyond what you need for a basic blog. It takes a bit more time to setup and configure, but it’s well worth it if you’ll be doing a lot of publishing and need more control over your content. Gere Jordan is a web designer, SEO, and internet marketing professional with Holony Media, a digital marketing company, and Continental Message Solution, a global provider of contact center solutions.